TODAY host Karl Stefanovic is head over heels for his "strong, passionate" girlfriend, designer Jasmine Yarbrough. The TV host gushed about his new love when talking to The Daily Telegraph. "There is a lot of love in my life," Stefanovic said. "She's (Yarbrough) a very strong and passionate person. "She has her own world, her own business and her direction. "And I am happy to support her in any way I can." Stefanovic split from his wife Cassandra Thorburn in October last year. He reportedly met Yarbrough at the end of 2016 at a party and the pair have been dating since. He said while the intense public attention on their relationship has been a lot for Yarbourgh to deal with, she is attention and they are enjoying their new romance together. "She is aware of the publicity and I don't think it is easy," he said. "She is back from LA now. "It is one step at a time and it's about doing whatever do in a respectful way. "Life is good, we are moving forward, taking baby steps. "Hopefully it will be great for everyone." Stefanovic attended a charity lunch at Bistro Moncur on Friday with Yarbrough on his arm. They mingled with PR guru Roxy Jacenko and Bistro Moncur owner Harriet Waugh. Stefanovic revealed he missed his Today co-host Lisa Wilkinson's wedding, remarrying husband Pete Fitzsimmons, because he was supporting his girlfriend. "Mara and Mine had a show in Paris and I was there, I was carrying the bags," he said. "They are doing some really exciting things." 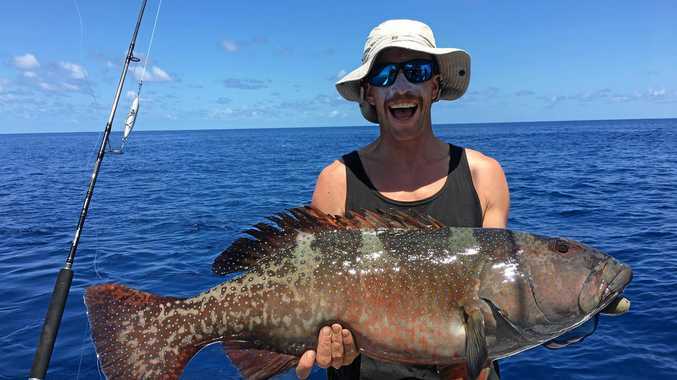 Fishing What's biting around the traps across the Whitsundays region. Entertainment Who's playing across the region.